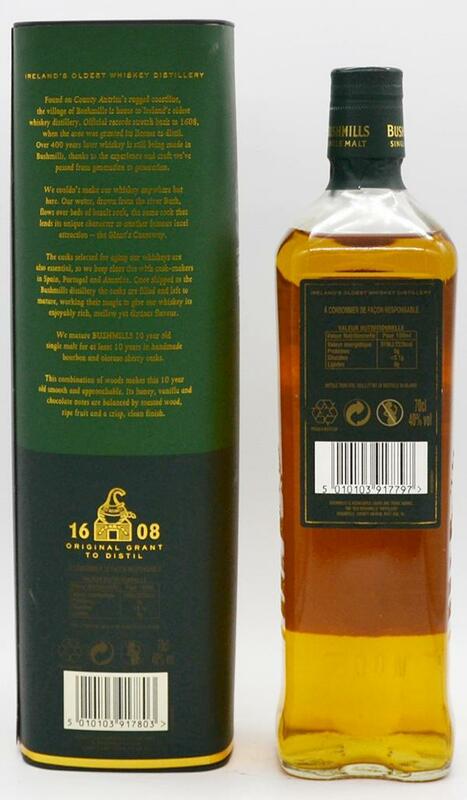 A simple, Irish single malt whiskey, comparable to 10 year old Scots! In the offer for about 22,00 € = top! 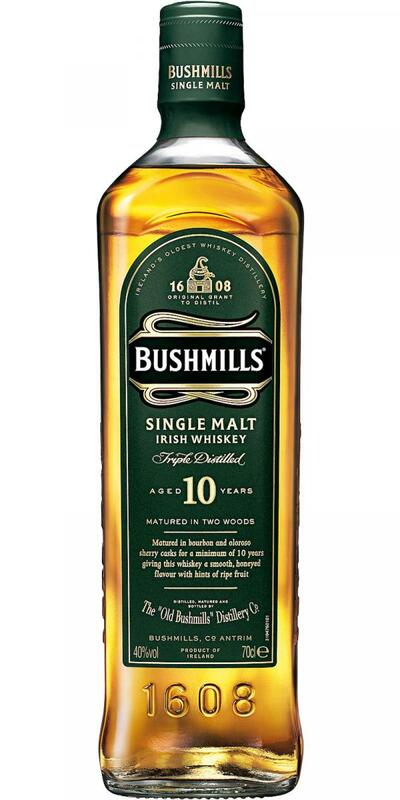 Bushmill has better things to offer. Disappointing. 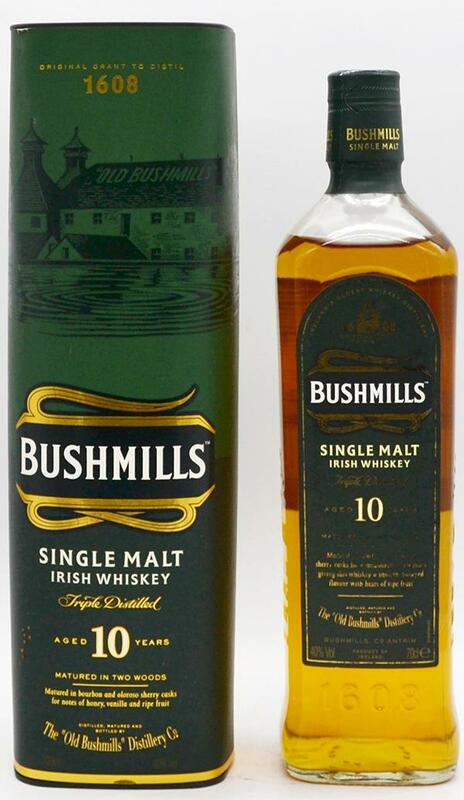 Bushmills 10 years is light gold in color. The taste contains soft fruit, honey, malt and spices. The finish is smooth and sweet. Malt, soft fruit, a hint of pumpkin, neatly polished oak. Unripe green fruits with water, malt, dusty stairs, some chocolate. Banana, malt, minimal wood notes, small fruity sweetness. Overall, very soft and mild. By adding some water a clear indication of bananas & malt. A piece of milk chocolate. Maybe the taste buds will play a joke on me, but I mean, hinted at canned corn. Here too malt, with some pepper. A light fruity sweetness mixes with slight dryness. By water only the shell remains of the banana, otherwise everything with the old ... dusty fruitiness, some malt. with scent of new book, lack depth, easy and pleasing. A simple malt. F- Short, gentle. Green apple and peppery remains.